From Egg Carton to Jewelry organizer in a few simple steps! - Blue Sky Design Company, Inc.
Is Your Wardrobe Ready for Festival Season? 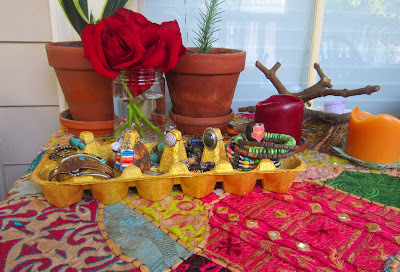 From Egg Carton to Jewelry organizer in a few simple steps! We love recycling everyday items into new, more exciting everyday items! 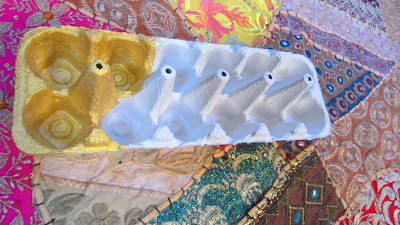 This easy and fun tutorial shows you how to turn an old egg carton into a groovy jewelry holder. 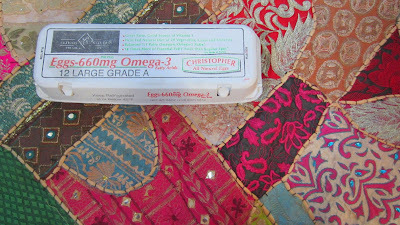 All you need is an egg carton of any size, paint of whatever color you like best, a paintbrush and some super funky jewels. 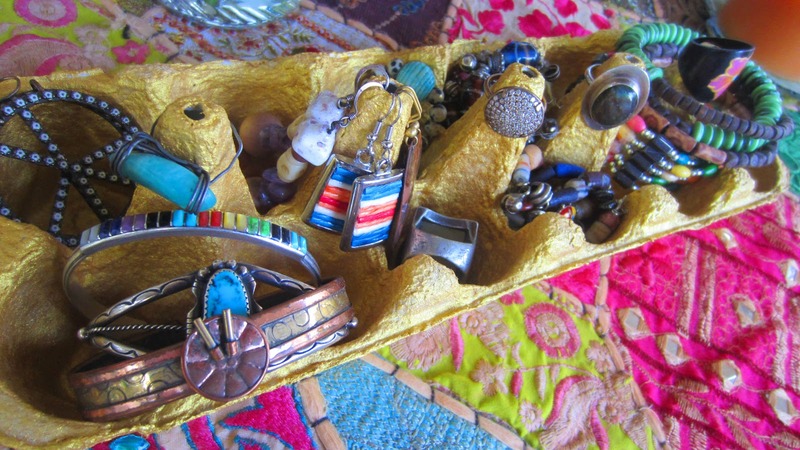 Don't have any awesome jewelry? Check out our Seeds of Change line, a portion of proceeds goes to benefit the Amazon Rain Forest...how awesome is that?! 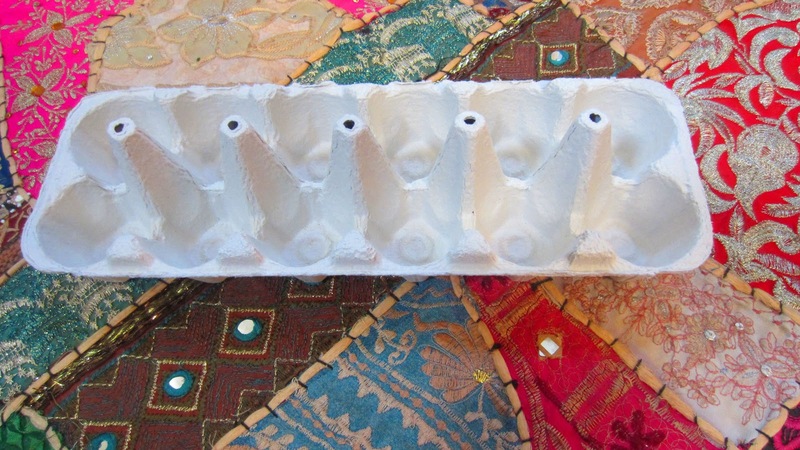 Start with a regular old egg carton. Remove the top of the carton and the flap used to secure the top closed, leaving just the bottom tray where the eggs sit. 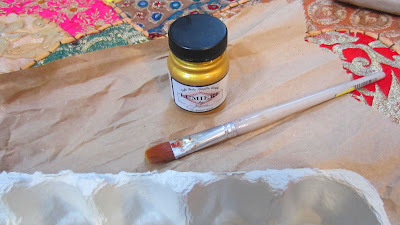 We picked a metallic gold paint and a fairly small brush to paint with, but the color is all up to you. Cover the carton in a layer of paint, making sure to get into all the crevasses of the egg carton. Let your carton dry and after that you can load it up with all your favorite jewelry, utilizing the support system built for the transporting of delicate eggs.